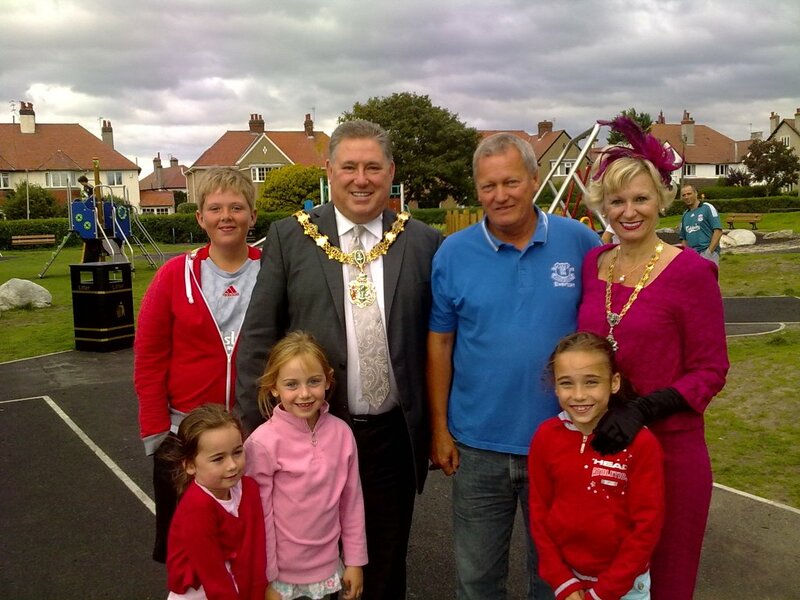 Come along to our Park Celebration Day from 12 noon to 5pm. 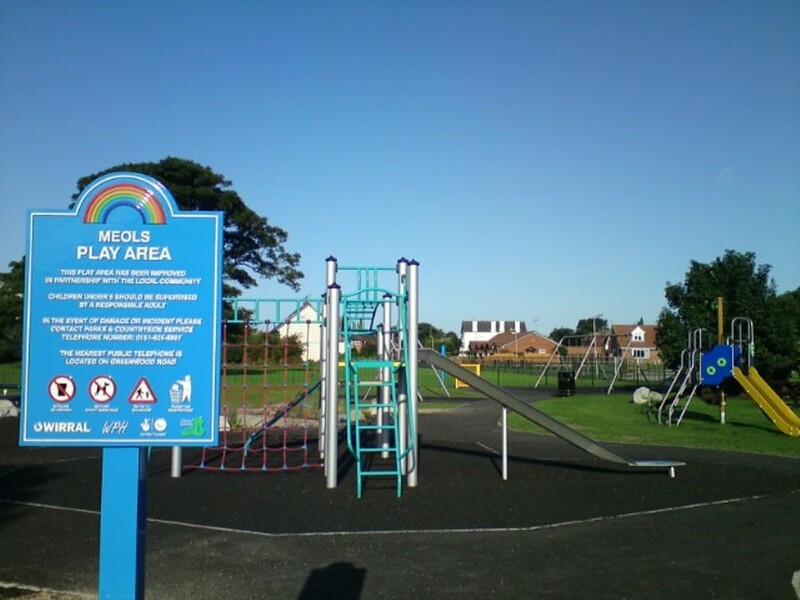 There will be Live Music,Donkey Rides,Punch and Judy and Viking Shows,the wirral play rangers will be bringing play equipment for childrens games,rodeo bull ride,bouncy castle and more. 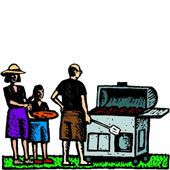 Refreshments available on the day and 7 waves radio will be there as well. 11th August 2009. 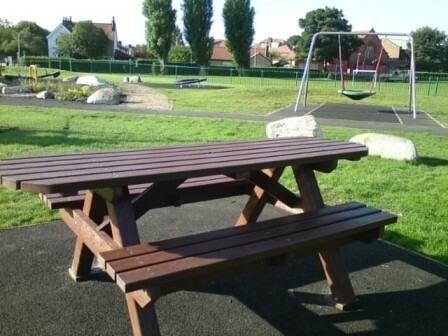 We managed to save the 4 old park benches from the scrap heap by getting them restored. Star Design from Birkenhead de-rusted the leg frame brackets then powder coated them with black paint. The old rotted wood was replaced with new stained wood and bolted back on the frames. 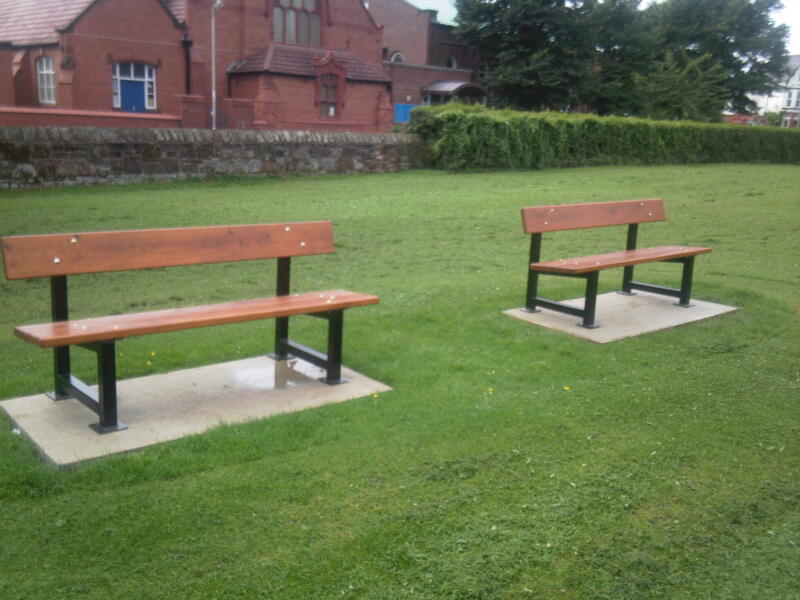 The benches have been installed on concrete bases in and around the football kick about area. 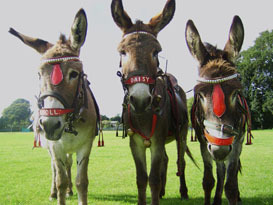 Holly, Daisy and Charlie are making the long trek over from South Liverpool to take part in The Friends of Meols Park Celebration Day on Sunday 6th September 2009. At long last, we have an identity in the park in the form of an official Park Sign amd we are chuffed to say that it mentions us on it. 5th August 2009. The new picnic bench was installed today. 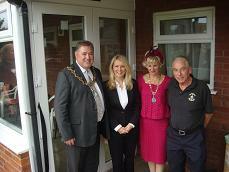 On Monday 3rd August the Mayor and Mayoress of Wirral Andrew and Kathryn Hodson were attending the Meols Bowling Club where they officially opened the new all weather Veranda on the Pavilion. Thanks must go to Wirral Partnership Homes Your Wirral Fund for accepting the grant application I submitted, that enabled the extension to be built. The Mayor and Mayoress of Wirral, Andrew and Kathy Hodson officially opened Great Meols Bowling Club veranda extension last night. Local community fundraiser and member of the club Roy raised the funds for the much needed extension. The bowling club is a jewel in the community has over 250 active members. The extension allows friends, family and visiting guests to watch the game in a sheltered environment. Words..